A Nuclear Iran: What’s Real And What’s Not? When I’ve spoken at public gatherings, one of the most frequent questions I’ve been asked has been about Iran and its nuclear program. I’ve followed this issue very closely since the early 1990s and since 2001, my answer has been the same, and everything that’s happened since has bolstered my view of this issue. In my view, Iran certainly has worked to develop a nuclear weapons capacity. It is almost unfathomable that they wouldn’t do so. This is the sort of propaganda we have gotten too used to regarding a nuclear Iran. How much concern is really warranted? The incentives are massive. It starts with the hostility the country faces, justified or not, from two major nuclear powers, the United States and Israel. An Iranian nuke would also change the regional balance of power, breaking Israel’s Middle Eastern monopoly on nuclear weapons. But it doesn’t end there. The Iranian neighborhood outside of the Mideast is a heavily nuclear one, including Pakistan, which borders Iran, India, which has an unsteady standoff with Pakistan, as well as Russia and China. There’s no immediate threat to Iran there, but there has been in the past, particularly from the USSR, and could be again someday. Things change. And what are the disincentives? Well, they’re significant enough that Iran pursued its nuclear program clandestinely. It includes tension with Europe, which Iran desperately needs as a trading partner, and in the past it included the potential for a nuclear race with Iraq. But the disincentives do not include an American or Israeli attack. This I have maintained for a decade and nothing has dissuaded me from that view. True enough, there are significant forces in both the US and Israel that want to launch an attack on Iran. But they have largely been reduced to saber-rattling by the logistical difficulties and the regional ramifications of such an attack. Cooler heads, even among those who would like to attack Iran if the risks and consequences were not so dire, have prevailed. It is also the case that anyone familiar with Iran knows that, despite its repressive theocracy and its deliberately provocative and offensive President, the country is not an irrational actor. They’ve never launched an aggressive war, and their very real support for radical Islamic groups such as Hezbollah and Hamas, though often exaggerated, is based on a clear political calculus. 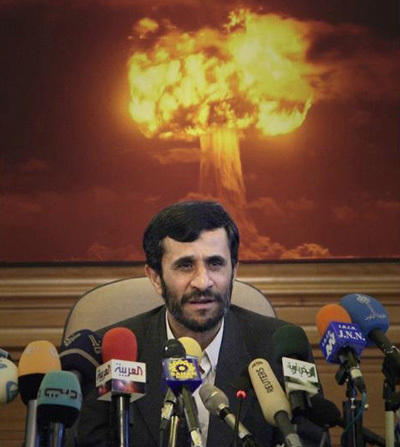 Those well-versed in Iran know they are not seeking a weapon which, once they have it, will be launched against Israel. Indeed, Israel knows this very well, as Ehud Barak himself recently confirmed. But the fear mongering, in both the US and Israel, is politically useful and Israel is indeed very worried that their nuclear monopoly will be broken. So are the Saudis, who, like Israel, would have a much more serious opponent to deal with in a nuclear Iran. The Jerusalem Center for Public Affairs published a letter this past Wednesday. The letter was written by a team headed by Ambassador Alan Baker. Baker was the Legal Counsel and Deputy Director General of Israel’s Ministry for Foreign Affairs between 1996 and 2004, and then Israel’s ambassador to Canada from 2004-2008. Baker is considered one of Israel’s leading experts in international law. Whether he is an honest expert, however, is cast into doubt by this letter. The letter is addressed to United Nations Secretary General, Ban Ki-Moon, and purports to prove that the Palestinian effort to gain recognition of statehood is illegal under international law. I freely admit that, despite my years of working with and on questions of international law with regard to the Israel-Palestine conflict, I am no international lawyer. Nonetheless, the holes in the legal arguments in this letter are so big a lawyer is not needed to debunk them. I need to note at the outset that the push for UN recognition does face some serious obstacles. 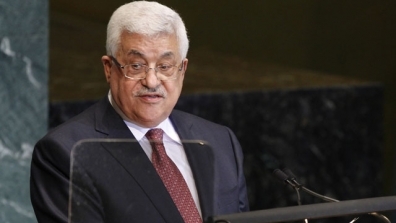 On Friday, the President of the UN General Assembly stated that the UNGA cannot take it upon itself to vote for Palestinian membership in the UN. Indeed, Article 4 of the UN charter specifically sets out the process for membership and it requires a Security Council recommendation before the GA can vote on it. Obviously, the US will veto any such recommendation. The GA can still vote on a resolution that would carry no legal weight, such as one acknowledging that a clear majority of world states recognize Palestine, but that does nothing more than the list of countries that have recognized Palestine already does (that list is 112 nations long, out of 192 UN member states). If the Palestinians have a way around this issue, they have not made that apparent, and frankly, their track record on planning such things out with a clear strategy does not inspire confidence. But that doesn’t change the weakness of the argument presented for the push for the UN vote’s purported illegality. In my latest for Souciant, I had put a broken link in my piece. It’s fixed there and here now, sorry for any inconvenience. In my latest for Souciant, where we continue to preview Babylon Times (no, really, the web site will be up soon), I was asked to envision what would happen if the right-wing and religious forces trying to take over Israel actually succeeded 100%. George Lucas (who incidentally should be legally barred from ever writing dialogue) wrote some of his cheesiest lines in the new Star Wars films when he was waxing political. Today, that was how the American Congress greeted the death of hope for peace in Israel and Palestine any time soon. Congress, thoroughly beholden to AIPAC and completely indifferent to the best interests of not only the Palestinians but also Israel and their own country, cheered the home team as it defeated the President of the United States. The home team, in this case, was Netanyahu. The game started last Thursday with Obama’s tepid attempt at the State Department to clarify his murky foreign policy. He really didn’t do that, but he mentioned the 1967 borders. Despite the fact that not only has that been the basis for negotiation, the only possible one, all along, Bibi and his stooges in Congress on both sides of the aisle made this a phony issue. My latest piece of reporting for IPS News is up, on today’s speech by Netanyahu to Congress. Much more to come on this in this space, keep watching. 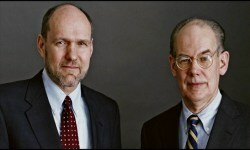 When Stephen Walt and John Mearsheimer released first an article and then a book called “The Israel Lobby,” the reactions on both sides were hysterical. Supporters, including some with far more pernicious and conspiratorial views than the authors, treated it almost like the Bible, reading it uncritically and applying Walt’s and Mearsheimer’s views to whatever their own were. Critics, of course, were far more vitriolic, refusing to deal with the substance of the authors’ work and preferring instead to simply attack them as anti-Semites. The editor of Middle East Report, Christopher Toensing, and I saw a need for a reasoned response to the paper, one which highlighted the many areas we agreed with Walt and Mearsheimer, but also taking a reasoned and critical look at the places where we disagreed. The role of “The Lobby” is a constant topic of debate, both within the respective “pro-peace” and “pro-occupation” camps and between them. Since I have referred to or touched on the contents of this article fairly often in this space, I thought it would be helpful to reprint the article now. The thoughts in it, as a paper which i was not the only writer, are not entirely my own. I therefore wrote a solo article in addition, which can be found on this site. But I think it provides a good basis for a rational, alternative view of “The Lobby,” one which differs sharply both from those who contend that “The Lobby” essentially determines US policy in the Middle East (it doesn’t) and those who see “The Lobby” as just a useful ally in selling American policies which would be virtually identical even if “The Lobby” didn’t exist (not so either). The piece is longer than the usual fare here, it includes footnotes and I put it here largely for your reference. But I think it’s a very useful addition to the discussion, and is presented with all due respect to Stephen Walt and John Mearsheimer who, as I said, got plenty right, stated some things that should be self-evident, and deserve applause in any case for opening up a public discussion that should always have been taking place and should continue to be widened. It should also be noted that this piece was written in response to Walt’s and Mearsheimer’s initial article, and they refined some of their arguments considerably in their book. They also put out a paper in between addressing some the hysteria their article caused. I should also say that, after four years, my own views of the issue have been refined as well.